The Bryant Law Firm is a Florida probate law firm providing high quality legal representation to clients throughout Miami and South Florida. Probate attorney and firm founder Randy A. Bryant has been serving clients in Miami since 1998, and is dedicated to putting that experience to work for you. Randy A. Bryant’s extensive knowledge and comprehensive understanding of probate law allow the Bryant Law Firm to handle a wide variety of probate matters, including probate administration and litigation, wills and trusts, will contests, and guardianship. Additionally, the Bryant Law Firm represents clients in their personal injury and wrongful death matters. We recognize that many of our clients may have concerns that encompass several areas of the law. For instance, probate, trust, and guardianship matters are often closely related. 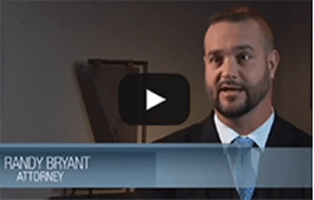 For this reason, the Bryant Law Firm prides itself in working with clients to identify all legal options, and to develop a case strategy that will best serve the client’s interests. At the Bryant Law Firm, Miami probate attorney Randy A. Bryant believes in providing the highest quality of service to all clients, whether their matter involves the crafting of a simple will or contesting a complicated inheritance arrangement across international boundaries. Our goal is to provide clients with exceptional personal service with low overhead cost. For this reason, we strive to keep our costs and fees reasonable when providing clients assistance on probate matters. When claims may involve wrongful death or personal injury matters, we handle such cases on a contingency fee basis, meaning that we will only charge a fee after your case is successfully resolved. We serve as a guide for our clients, helping them to navigate difficult legal issues. Miami probate lawyer Randy A. Bryant and the Bryant Law Firm are committed to assisting you in all of your probate matters. All our consultations are confidential and free of charge. Our office in Coconut Grove serves clients throughout Miami, Fort Lauderdale, Naples, the Keys, and all of South Florida. We frequently work with clients from Cuba, Puerto Rico, Mexico and throughout Central America, and are available to speak with you about your concerns in Spanish and English. If you have questions or concerns related to a will, living will, power of attorney, guardianship, probate matter or injury from an accident, seek the guidance of an experienced probate attorney. Contact the Bryant Law Firm at (305) 456-2777. You can also contact us online.